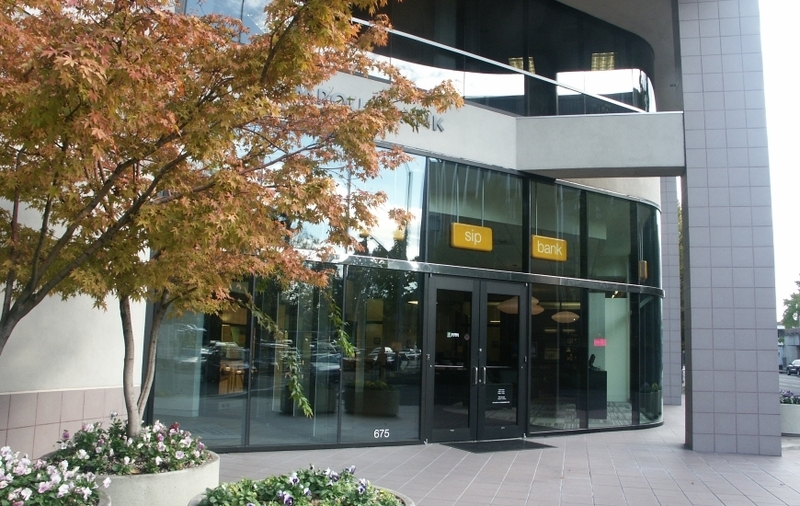 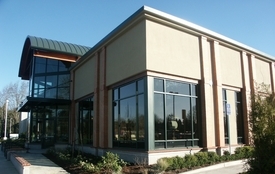 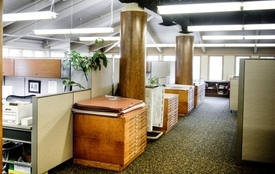 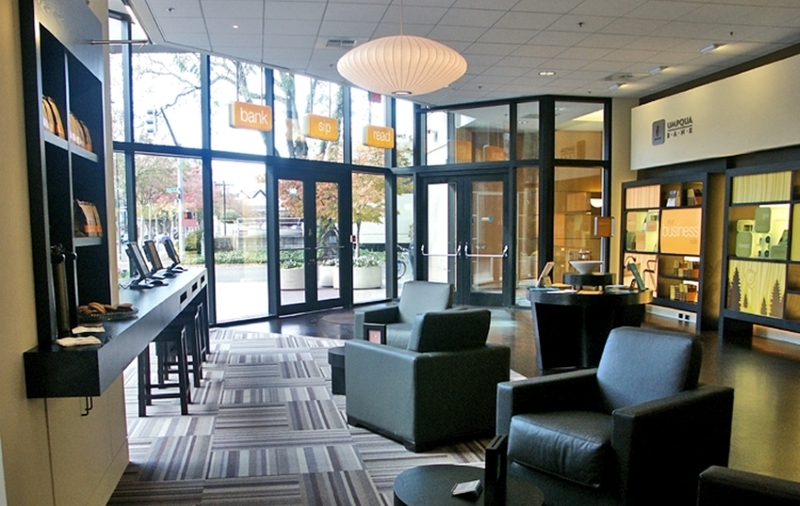 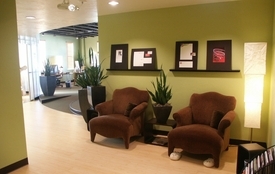 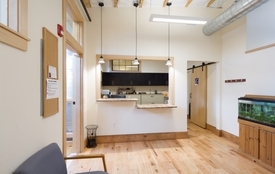 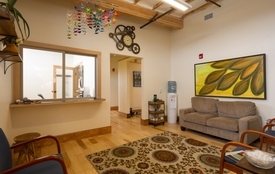 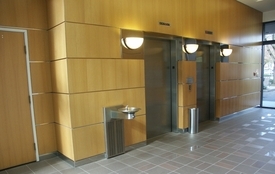 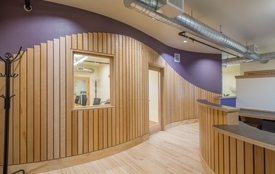 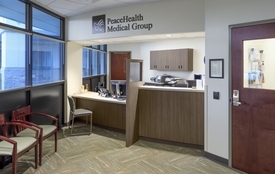 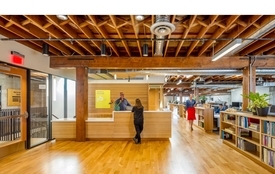 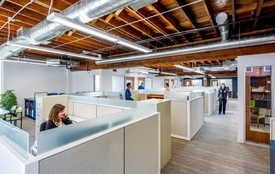 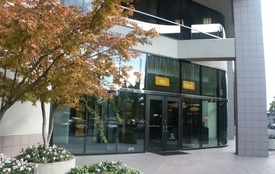 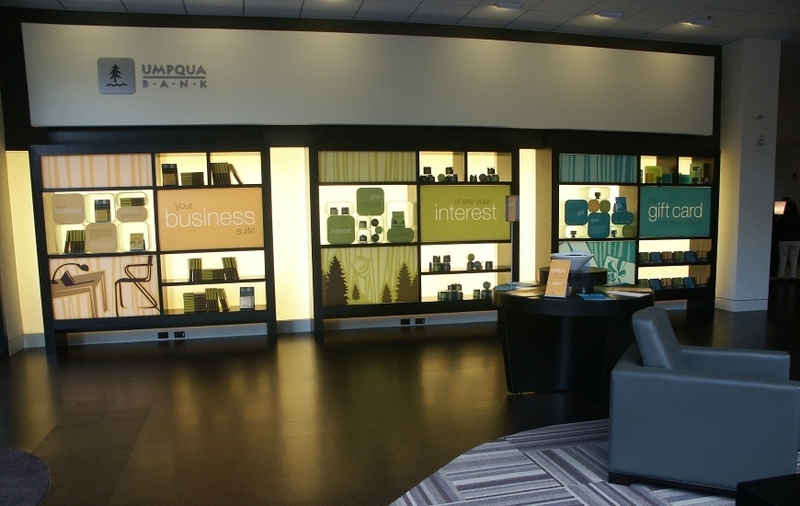 Umpqua Bank required lots of coordination to remodel the walls, floor and ceilings. 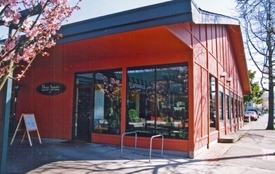 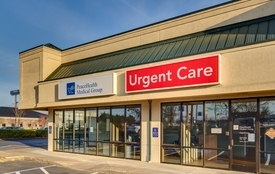 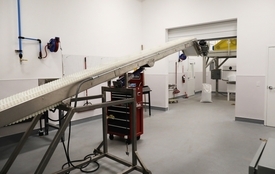 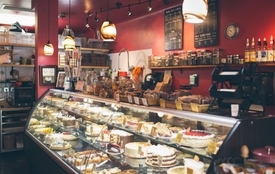 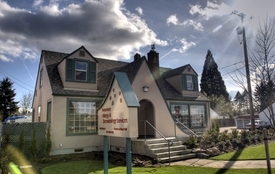 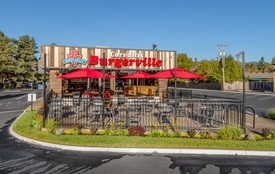 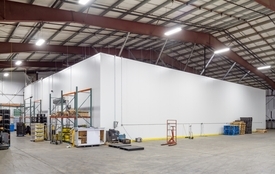 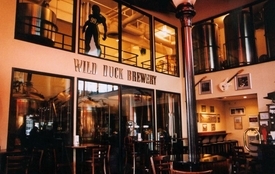 In order to remain open during regular business hours, the work progressed in three phases with temporary enclosures and some temporary relocation of staff. 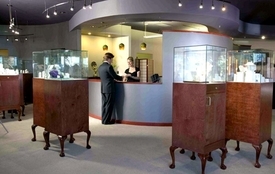 The trendy lobby of their “Mother of Pearl” store, as the bank calls this branch, showcases a beautiful cork floor, ultramodern minimalist desks and counters and large high-ceilinged glass-walled offices. 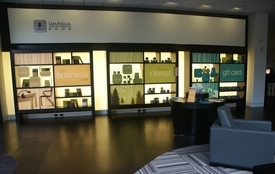 A large mural, digitized to vinyl, was applied like wallpaper to the wall behind the teller stations.